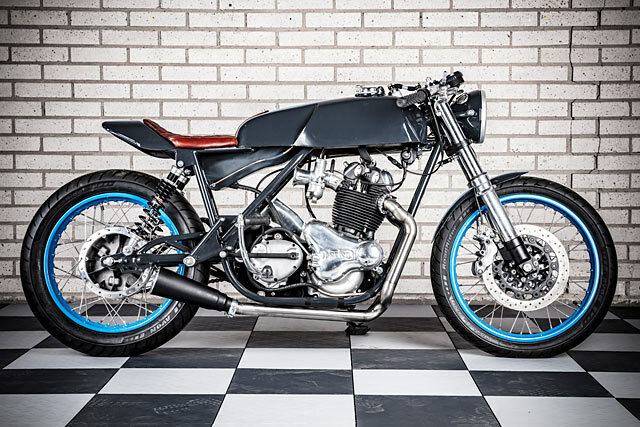 Cleveland’s The GasBox have a distinctive style of build. 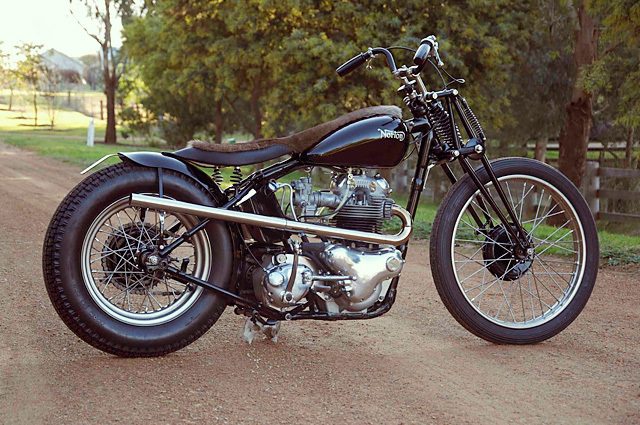 They’re quiet and understated and usually built around a classic vintage motorcycle. They make simple, textured machines you not only want to look at but touch, like a fluffy cat or that type of redhead that doesn’t have freckles. 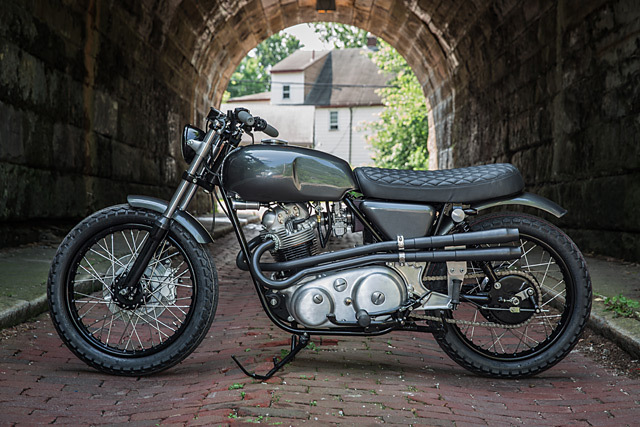 This time around they’ve produced another veteran motorcycle, a 1974 Norton Commando that’s certain to please both the custom bike crowd and bed-wetting, rivet-counting British bike aficionados. If you could place a value on a motorcycle there may not be another bike on the planet worth as much as this Seeley Norton Commando. Not just because it’s a Seeley Commando, the frame made on an original Colin Seeley jig in the traditional way with all the very best parts and materials used throughout the bike. But because the proceeds of the sale of this motorcycle go to supporting Worth Motorcycles, a not for profit organisation, based in Crown Heights, Brooklyn that teaches at risk youth the art of building custom motorcycles and mentors them towards a better life. Founded by Jeremy Malman a former club racer whose doctoral studies focussed on the various mechanisms underlying adolescent antisocial behaviour, he’s created a place that not only changes lives but turns out some of the coolest bikes in North America. The custom motorcycle business has a hierarchy that is more organic than most; it’s not about money or ego but sheer ability. At its most pure form it is simply about the quality, creativity and workmanship of the bikes you build. Australia’s Matt Machine is one of the builders at the top. 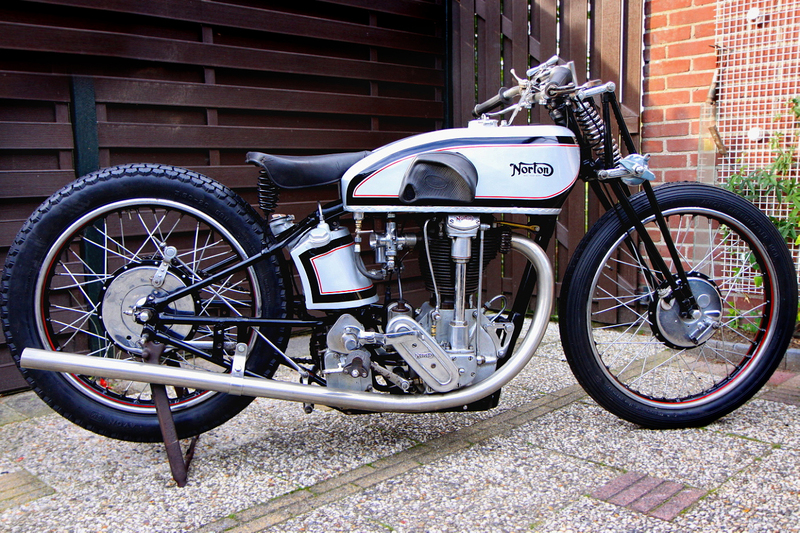 Living an idyllic life in the bush, his creations are as real and honest as the environment around him and this Norton custom was deemed so good it won “Best British” at the Born Free 7 show. Not too long ago The GasBox were featured on these pages when their BMW R80 was 3rd in Pipeburn’s 2014 Bike of the Year Awards, so it’s fair to say they can build one hell of a bike. But pinning down owner Jesse Bassett’s style isn’t easy. 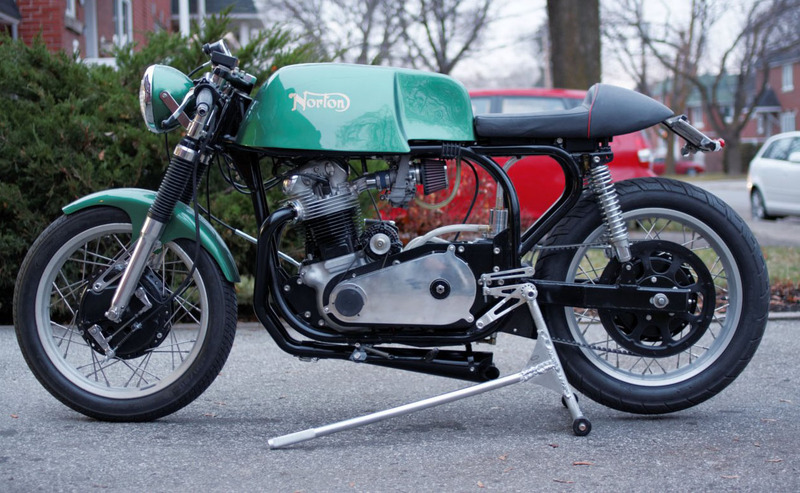 Take this 1974 Norton Commando 850. 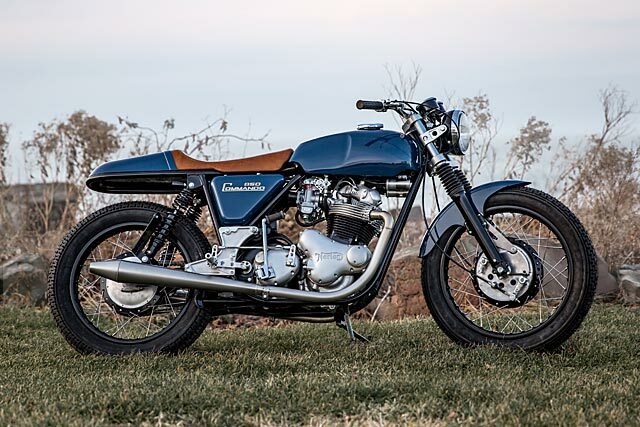 It’s neither a custom Café Racer nor a Concours d’Elegance build due to the modifications; but it, like all of Jesse’s builds, are as close to perfection as you can get. The again, maybe that’s his style. 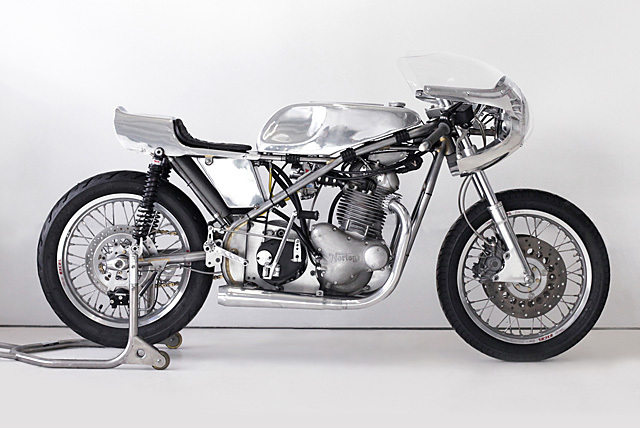 In the modern incarnation of the Café Racer culture perhaps no motorcycle waves the flag like a Deus Yamaha SR500. So when Rob decided his had to make way for something even better he set Erik Johnson of 59 Café a hell of a task and what better way to beat a modern classic than with a true original. First he tried to persuade Erik to part ways with his own award winning Norton Commando but waiting for hell to freeze over is a very long wait, so he commissioned Erik to instead build a Commando of his own that could gleam outside his Coeur d’Alene restaurant and take him home in hand crafted ‘old school’ British style. The Norton Commando with its Isle of Man heritage and five times Motor Cycle News “Machine of the Year” award is special enough, but this particular 1971 Fastback Special has a tale that starts with the man who rescued Norton from its British grave. 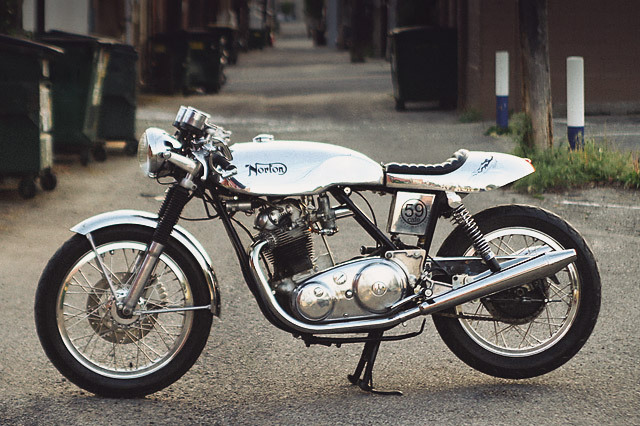 Across the Atlantic Kenny Dreer was the man behind Portland based Vintage Rebuilds who salvaged the Norton name in the 1990’s and commenced work on reviving the brand to its former glory under the Norton America banner. George Kraus from GEK Restorations tells how his dream of building the ultimate Commando that is now pictured before you first came to mind. “It was an all-night drive back from the San Jose BSA Clubman Show, about 1993 or ’94 with Kenny Dreer. The sleep deprived drive developed a drug-like effect on us two vintage crazed individuals and in our hyperactive minds, we designed the perfect “Manx Commando”. To get his hands on a Commando, George designed Kenny’s original Vintage Rebuilds and Restorations brochure in exchange for a core bike and all the parts and services at cost price. 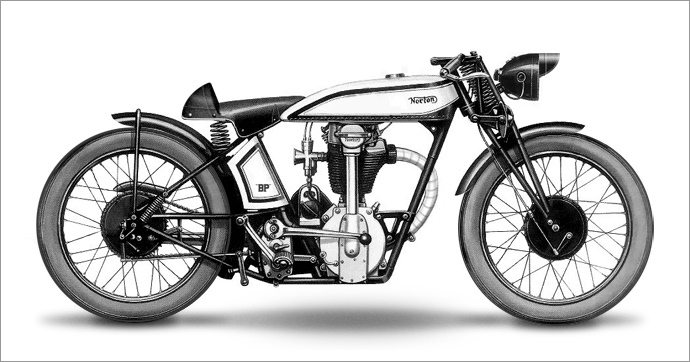 When the original Norton CS1 was released way back in 1927 it pretty much blew the socks off everyone. On its first race it won the Isle of Man Senior TT and also set the fastest lap time. This thing was like a superbike before the word even existed. Marcel Schoen from the Netherlands is lucky enough to own the pictured 1930 CS1 TT. “It belonged to my late uncle and has been in the family for more then 50 years” said Marcel. Over the past few months Marcel has been busy rebuilding this classic motorcycle. He gave it a complete check over, new 20″ tires were fitted, the magneto was rewound and many original nuts and bolts sourced. It has a special 3 speed gearbox type N103, Webb 650 forks, the engine is a hybrid between a W.Moore and A.Carroll design. 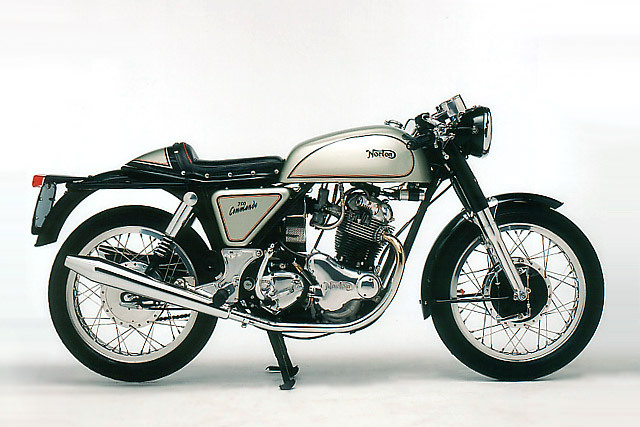 I had a Featherbed frame (the one from the ’68 Atlas) stashed deep in my brother’s basement in which I had plans to install an Ariel 500cc single, that project was put away when I raised my family. Even though it was almost complete, the thought of building a nice Atlas and better still an Atlas café racer was in my mind from that day on. If you’re anything like me, the bikes you lust after tend to go through phases. My current obsession is English bikes from the 20s and 30s so I’ve been doing a lot of thumbing through Google images and drooling over various Matchless, AJS, and Vincent collectibles from the era. Yesterday I found myself daydreaming about customising something from this era, but shrugged it off as pointless – like tweaking a Jean-Michel Basquiat or re-recording a Joy Division album.